Athelstan Lodge was formed (consecrated) in 1870, and writing the history of such an old institution is a mammoth task. W Bro John Austin took on this onerous duty and wrote the original chapters up to the Lodge’s 125th anniversary in 1995. W Bro Peter Stickland and W Bro Phillip Benson are continuing the work and will add new chapters to the History as it becomes available. The history has been sectioned into chapters, each covering a decade, to make it a little easier to find a specific entry or meeting. The chapters contain observations from meetings, etc, at the time. Just like people, Lodges have parents. Athelstan Lodge’s ‘family tree’ can be seen here. Thus the first page of the earliest Minute Book records the original Meeting of the Lodge Founders. Four of the seven founders were Members of the Sponsoring Lodge, Abbey Lodge No 432, and the following is an extract from the history of the Abbey Lodge by Bro Walter Perkins, Past Master, which was printed in Nuneaton in 1936. “At about this time (i.e. 1869) it became evident that the formation of a Lodge in Atherstone was in contemplation. Theodore George Tippetts aged 35, Solicitor of Atherstone, was Initiated in the Abbey Lodge on November 25th 1869 and this Brother was first Secretary of the Athelstan Lodge No 1333. Bro F Cohen, a Past Master of the Forward Lodge No 1180, was the first Worshipful Master and he acted as Installing Master on the occasion of his visit to the Installation of the Abbey Lodge on January 20th 1870. Bro Frederick Cohen, the first Worshipful Master of Athelstan Lodge was not only a Member of Forward Lodge but a Founder Member and that Lodge’s first Senior Warden. He became Master in 1868 and again in 1872 during which year he received Provincial Rank. Bro Cohen appeared to have been the ‘backbone’ of Forward Lodge, conducting most of the Installations and very many of the Ceremonies. He attended every Meeting until December 1874 and in September 1875 he tendered his resignation “owing to prolonged illness”, and was thereupon elected an Honorary Member. As far as Athelstan Lodge is concerned, he resigned his membership in 1873. Bro Cohen died in 1876. 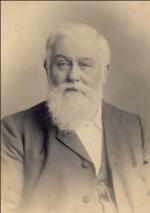 There is an interesting Minute for the Meeting of Forward Lodge on November 7th 1870 which states that Bro Cohen, who was throughout that year deputising for the Worshipful Master, informed the Brethren of the Consecration of a new Lodge at Atherstone shortly to take place and invited them to attend. At the Preliminary Meeting at Bro Tippetts’ house on July 21st, it was determined to petition to the Grand Master to issue a Warrant constituting the petitioning Brethren, a Lodge under the title of ‘The Athelstan Lodge’ empowering them to meet at the Town Hall in Atherstone on the first Friday in each month. The petition was forthwith prepared and signed by the following Brethren on the same day: F Cohen, F Ferriman, SM Hallsworth, TG Tippetts, WG Knight, W Mingay and W McBeath and subsequently by Brothers Hopkinson and Mayln. Brother Tippetts was deputed to request the Officers of the Abbey Lodge No 432 of Nuneaton to recommend the petition and then forward both to the DPGM. At the next Meeting of Abbey Lodge, the matter was brought forward and the necessary recommendation was unanimously given and the heartiest good wishes expressed by the Officers and Brethren for the success of the intended Lodge. On the 20th October the Warrant of Constitution arrived at Atherstone and arrangements were made for the Consecration of the Lodge. The Minute Book lists the Brethren who made presentations to the Lodge. The Consecration of the new Lodge took place on the 18th November 1870 at the Town Hall, Atherstone, in the presence of the Right Worshipful and Right Honourable Brother Lord Leigh, Provincial Grand Master for Warwickshire. The Ceremony of Installation was performed by The Very Worshipful Brother Colonel Machen, Deputy Provincial Grand Master, in the presence of very many distinguished Masons. Total attendance was 44. After the Ceremony of Installation the WM Brother F Cohen invested the first officers of the Lodge and these details will be found in the Roll of Members. It is of considerable interest to record that at the Consecration Ceremony Meeting the second candidate to be proposed for initiation was Mr Charles Vero, Hat Manufacturer. Worshipful Brother Vero became Master in 1878 and 1887 and was subsequently appointed DPG Supt Wks. His son, Worshipful Brother Osborne Vero, was Initiated in 1900 and became Master in 1907 and again in 1914. His grandsons were officers of the Lodge, Worshipful Bro Charles Vero was WM in 1954 and Worshipful Bro Denis Vero was WM in 1956. Also, his great nephew, W Bro ABT Vero, was appointed PSGW on October 30th 1970 . This remarkable record of service to the Lodge by the Vero family is one instance which demonstrates the comparative ease with which Athelstan Lodge appears to span the years.